Nelson M. Alves is a professional investor, established in Portugal. He started his career in 2007 right at the start of the biggest crisis since 1929. Until 2012 he worked in several trading desks. In 2012, Nelson A. wrote the first volume of the European Jewels research collection (now out-of-print). His main investment influences are Philip Fisher and Warren Buffet. Being a thorough student of several investment approaches, he believes that the equity markets should be on the service of both small and institutional investors, and therefore every citizen should be able to reclaim his fair share of the long-term growing prosperity around the world. He sustains these claims in the book Who wants to be a pensioner (2013). Nelson has also been involved in local administration consultancy projects. He currently works on debt management for Energias de Portugal (EDP). Since 2014, Nelson has been collaborating with seekingalpha.com. He also posts his ideas and thoughts on the www.investmentgems.net website, you can visit it and get to know better Nelson’s investment principles and you can contact him through Linkedin. Tesla’s balance sheet is not in its prime. During 2019, the company will have significant portions of its debt maturing. The company will have to roll it over or to repay it. Gold is seen, by the investment community, or even by society’s common sense, as a great hedge for uncertain times. However, the reason why this happens is not entirely understood. Modern Monetary Theory (aka MMT) is now in vogue as some democratic candidates line up for the Presidential election. Algorithms have been responsible for changing the market rhythm. We have become accustomed to 10% plus after-earnings swings, which wear-off two days later. Like EVs or not, the truth is they Tesla has demand for them and so far it still lacks the capacity to cover all the orders. This is a new market that is gaining traction and cannot be disregarded going forward. Can Business To Business (B2B) Bring 3D Systems To A Whole New Level? Excellent question! There were talks about HP and also about GE. I am a bit divided about the chances of HP or GE acquiring 3DS. On one hand, the board seems to be committed with the company. Chuck Hull (one of the main characters in the development of the 3D tech) is still within the company and that should pend in favor of an independent path. Additionally, the new CEO has a good profile to develop 3DS' business. However, as we saw with Nokia, hiring a CEO that has worked for the potentially predator company cannot be disregarded as a sign that an acquisition might happen. All-in-all I say that 3DS has good chances of maintaining its independence. Thanks Rakesh!! Let us see how that plays out. Is Nokia Going To Connect People Again? I agree with you on the cash as you can see in the article. The cash they have is not enough for a serious acquisition. But the joint venture with Sony is a realistic possibility. Yes, a big part of the mobile staff has left, but as I say in the article, Finland has produced lots of skilled people for the mobile sector. Additionally, many former engineers would be interested in coming back to Nokia if the company started a credible project. Possibly, a comeback would be based on Android. I agree with you on that, but it doesn't mean that it would be bad. But I see your point there. About the N1, there were Nokia Lumia phones that sold worse, so maybe the N1 isn't that meaningless. Finally, as you say Chinese telecom vendors are squeezing margins in the sector, Nokia has to find growth opportunities in adjacent areas. If you ask me if they are still useful, I think so. The Nokia case illustrates this, Nokia has been able to keep extracting money from patents. But capitalizing on patents made in the past is not exactly a business with a great future. I think the question is more if they can put those patents to use in order to serve a customer segment better than anyone else. Because if they do, they will start adding valuable patents again. During the troubled times, when they still had the double CEO model, one of them suggested focusing on messaging, which was what they were doing better than anyone else. No one can know for sure, but this could have been a smarter move. Nelson Alves Just liked Moon Kil Woong's comment on Notes On Friday’s Meltdown: Don’t Let It Fool You. Description: Analysis and controlling of Debt instruments like Bonds, Loans and Commercial Paper; Analysis and controlling of financial derivatives like Swaps and Currency Swaps; Controlling of inter company loans and inter company operations. Description: Financial markets counseling for private investors; SME's operations streamlining; Elaboration of financial reports for common stocks investments. Description: European Jewels is the blog version of the “European Jewels” collection of investment books. Here we want to share views about financial markets, share thoughts about companies strategies and its impact on financial value. The financial world is overwhelmed with quantitative information. 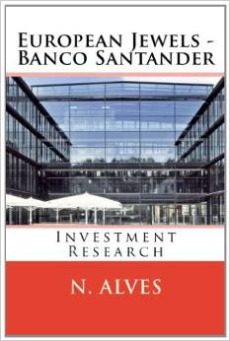 Every investment bank has its own investment research updated daily. 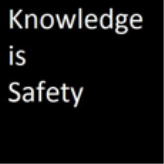 This creates a mass of undigested and worthless information. We aim at offering short and direct, but rigorous and correct information to our readers. Therefore the main goal of this blog is to share our ideas to allow our readers to understand our investment philosophy.